In these moments, those who doubted our faith or considered us hypocrites, they feel themselves vindicated - sometimes with glee, sometimes with hidden sorrow. Here, the seemingly unanswered prayer mysteriously resounds in their hearts too. Behind the derision one faces for having dared to believe, there is also a painful solidarity with the whole of humanity. For every prayer that seems unanswered reaffirms a sense of alienation, of rejection, of unbearable misery in the heart of every man and woman since Eden. In the story of salvation, the most contemporary doubt in the Father's love is just another manifestation of this primordial reality. Christian prayer does not avoid this common human condition - it boldly enters this poverty to fill it with something new. If it humbly accepts all forms of mockery before the mystery of unanswered prayer, it is to offer this too as a living sacrifice to the Living God. For the Christian, the tired sorrow of unanswered prayer has been made open to an explosive beatitude. The Word of the Father made this painful cry His own when He implicated Himself in our sin. In this, the Suffering Servant found a way so that we would not have to suffer our plight alone - our wounds are healed by His. His last wordless cry of abandonment revealed His life's project: He dared to offer with love to the Father His every breathe and heartbeat from first to last so that every human hardship might be completely enveloped in divine mercy. Now, by faith, His project can become our project. Because His offering to the Father was perfect in love, the Savior of the world fills our dying weakness with the secret freshness of new life whenever we offer it to Him with even the tiniest effort of solidarity. When prayer seems unanswered, the One who cried to the Father for love of us from crib to Cross is allowing us an opportunity to share in the salvific work of His own prayer. Like the myrrh, the tears and the kisses that once anointed the feet of Jesus, prayer wasted on God for our brothers and sisters, for spouse and children, and even for ourselves, always takes on cruciform proportions - dimensions that extend from one horizon to the other, from height to depth, from what is visible to what cannot be seen. If such prayer weeps over abandonment, disappointment, frustration, injustice, inadequacy, failure, voids and weakness - such prayer also boldly cleaves with gratitude to the invincible hope that none of this can separate us from that astounding love revealed by the Risen Lord. 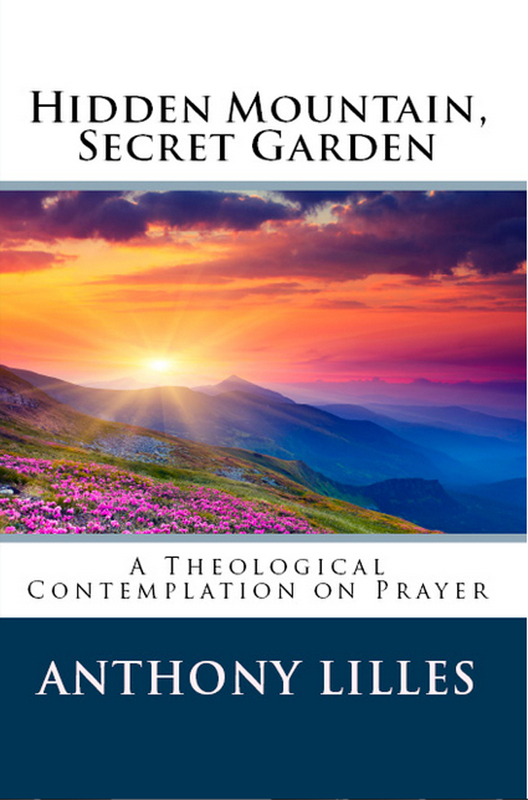 Dan Burke, Tim Drake, Thom Price and Jeanette DeMelo host a wonderful radio program on which Dan recently interviewed me about prayer and the recently published Hidden Mountain Secret Garden. Jeanette continues by interviewing Brother John Paul Mary of the Franciscan Missionaries of the Eternal Word (Click here to listen.) This religious community was very kind to me when I was student in Rome - offering me a place to land when I did not have one as well as good encouragement when it was most needed. Dan also has invited me to post on his Roman Catholic Spiritual Direction blog which is a wonderful resource for the spiritual life. For those of us from Denver, we are really happy for Jeanette who also blogs for the National Catholic Register and serves as Editor In Chief. Sometimes we look at religious observance as a kind of holy imposition, a yoke, a burden. We can even look being observant as an inconvenience to which we submit as if we were somehow manipulated into it. Although we cannot do very much about such feelings (they come and go whether we like it or not), there is a deeper truth for which we forsake not the discipline of our faith - a truth that dances in the sacred melodies of love and freedom. The Lenten Observance is a time of discovering the liberty of God in our freedom, and in discovering this, also tasting a new liberty. This is a freedom that the narrow limits of this present life cannot fully contain. It orients us to a life over which sin and death have no power. In the discipline of the Christian life, that holy exercise of our faith, God freely works through our freedom to restore our dignity and to help us discover our true identity in His eyes. Our choices, especially those we make out of love, are the very stuff of this divine industry. Despite our spiritual sluggishness, He is constantly making all things new in our lives and in the world with unimpeded sovereignty - and this even when sometimes we have allowed ourselves to be enslaved and traded our dignity for pottage unworthy of the children of God. How can we respond in any other way to God's faithfulness to us than by renouncing our sins and taking up the discipline again? Hidden though it is from our distracted gaze, the saving presence of the Risen Lord is freely directing the smallest, the most ordinary, the most humble things. Accepting His loving Providence in the little hidden things in life is the fountain of all genuine freedom in our lives - a smile to the busy clerk at the grocery store, a kind word in exchange for a rude remark, allowing someone to inconvenience you a little so that they might know they are loved. We need to be careful when He gently proposes and disposes, or our hearts will be pierced in such a way we may never be able to live the same again - for our freedom given in love opens up whole horizons for His freedom to work in. This secret freedom offered us in all kinds of hidden events is the saving liberty of divine love. It gushes from the side of the Word made flesh. It is meant to ring through the whole of our existence, bringing every fiber of our being into its sacred harmony. It is a canticle so beautiful that we find ourselves our old way of life mortally wounded while we are also animated by a new life totally other than this old tired world can hold down. It is in this freedom of the Cross that the chorus of creation and the cacophony of sin are taken up in this new symphony of grace. In the wonder of this divine melody something like the childlike freedom of real song, play and dance are unleashed into humanity: we, welcoming God's gift of Himself; He embracing us, as we give the gift of ourselves to Him and through Him to one another. To glimpse the wonder of divine freedom at play and to have the freedom to join this dance, we must freely choose to exercise our faith. This means deciding in each instant to fill this particular moment given to me right here and right now with all the love I can Prayer, fasting and the works of mercy make space for this kind of freedom, this divine liberty in our humanity. The more love we put into these holy exercises, the more we discover those hidden choices most open to the tender subtlety of His power. On the Podcast show "Catholic Stuff You Should Know," hosts Father John Nepil and seminarian Joe Doman interview Father Raymond Gawronski, S.J. and me on the two standards of St. Ignatius of Loyola (click here). Father Gawronski helped design the Spirituality Year for St. John Vianney Theological Seminary in Denver, Colorado. He has provided the long retreat of St. Ignatius for the seminarians of Denver for the last fourteen years. During Lent, we dedicate ourselves to prayer, fasting and alms-giving. These practices are simple ways of expressing our gratitude to Jesus for what He has done for us. This in fact is the very nature of penance. Penance is love which responds to mercy - and this love is not content with words, thoughts and feelings. This love needs to express itself in a prayer that cries from the heart, in sacrifice that really costs, and in little hidden acts of kindness that comfort those who most need it. Why do we allow God to implicate us in the plights of others, especially during Lent? God's love suffers the personal plight each of us. He does this because He does not want us to suffer alone. So He seeks us out in our suffering - the suffering that we have brought on ourselves and the suffering that others have brought on us. He is concerned about our dignity and He is ready to do whatever it takes that we might be rectified and stand with Him who is Love Himself. The extent to which He enters into our misery for this purpose is revealed on the Cross. If we are to be His disciples, we must pick up our cross and follow Him. This is how the Lord extends His saving mystery through space and time - He loves us so much He implicates us in this great work of His Love. No matter how many times we fail, no matter how great our weaknesses, no matter how inadequate we are to the demands of love -- He is there with us, loving us, providing exactly what we need in the moment, and this because He really loves us that much. How can we not respond by offering Him food and drink when we recognize Him in the disguise of those who hunger and thirst? How can we not respond by forgoing a little comfort and convenience when He has already suffered so much discomfort and inconvenience for us? How can we not respond by praying for those who need the love of God when He has never forgotten us in His love for the Father? When prayer, sacrifice and generosity come together in thanksgiving to God for His goodness to us, deep places of the heart are purified and we rediscover the joy humanity was meant to know from the beginning. Lent is all about this joy - a joy God's love allows us to know, the joy of being sons and daughters of God, the joy of heart so beautiful it would be wrong not to share it with those who need a little joy as well. Would you like to hear this in audio file? Click here. Courtesy of Kris McGregor of www.DiscerningHearts.com. In an explanation of St. John of the Cross's teaching, I have offered some more thoughts on praying from the heart at Dan Burke's Roman Catholic Spiritual Direction. After the death of a leper king who brought great financial and technological security to Jerusalem, Isaiah receives a vision while he is worshipping in the temple. Attitudes toward the successful but unclean king must have been mixed. Just as political powers are inclined to do in our times, Uzziah in fact had attempted to abuse the sacred right to right worship enjoyed by the People of God inorder to expand his own political power over the lives of his subjects. Whatever his original intentions were when he first approached God, the absolute sovereign splendor the future prophet saw over and against the passing of worldly power would help prepare for the most definitive moment of human history. It was a vision of great and powerful spiritual creatures ministering before the overwhelming majesty of God enthroned and clothed in overflowing glory. The awe inspiring celestial hymn he heard echoing in the temple around this scene celebrates the great truth King Uzziah himself had forgotten in his service to Judah. Namely, true security and the most important kind of prosperity are not principally the fruit of political cleverness or skillful ingenuity. The real source of these blessings is God Himself to whom alone right worship is owed, and though this divine rule is hidden from the proud, those who glimpse this glory are purified and sent to declare what they see. There are countless kinds of angels of which seraphim constitute a certain rank. The wings of an angel signify its power and the six wings of a seraph denote the greatest of all created powers. Whatever else they are (and very little is known about them), Isaiah presents us with wonder filled, reverent, powerful and jubilant creatures who never break their ready vigilance in service to the Lord. They are powerful and wise enough to adore the holiness of God as more holy than any holiness that can be understood. The triple sanctus they raise in their communion of endless praise is superlative for the greatest awe and wonder. It is a awe and wonder caught up in unimaginable love. At the same time, they are ready and able to remedy sinful man's complaint of unworthiness. They do not hesitate to fly to man to heal and encourage him. They do this not by sheltering the sinful from the piercing truth that must be faced, but instead with great power they render humble humanity vulnerable to the saving Presence whom they attend. Employing Love's sacred fire as if our frail lips were a kind of incense, Isaiah saw for Himself how they help us open our mouths so that we too might declare the Lord's praise with them before the world. Just as in the shadow of heavenly worship Isaiah tasted the mercy of God, God's mercy baptized Peter in the shadow of Christ. Peter did not see a celestial vision, but on the contrary he saw the Word made flesh. He did not witness the power of mighty creatures and the overflowing raiment veiling God's glory enthroned, but instead Peter stood vulnerable and afraid before the Image of the Invisible God. The voice that gave Peter courage was not that of seraphim, but rather he found heart only in the human speech of God Himself, "Do not be afraid." The courage Peter found by the shore of a lake, the whole Church finds before the table of the Lord. At every Mass, we Christians are meant to stand together in bold vulnerability before the power of God revealed in Christ. We stand has did Isaiah, Peter and Paul before us. As hard as the truth of God's love is to accept and live with, we take heart because Christ commands us to. Just before the Eucharistic prayer, the whole assembly joins the hymn of the Seraphim that once enchanted Isaiah. We have been made able to do this not only through that hidden ministry angels, but by that of Christ Himself whose perfect offering purifies our lips. We do not hope merely for that tiny glimpse into the shadows of divine majesty Isaiah once beheld. Instead, we boldly dare to approach the very altar of God and partake of His mystical banquet with the hope that we might one day see Him as He is. We even believe Christ is at work in us at this very moment so that we will be made like Him. If before this saving mystery, Peter should complain about his unworthiness, we should not be discouraged if we must suffer displeasure over the lack of love God's holiness reveals in us. God waits for us with eager longing to offer Him our misery just as Peter learned to do. Yet it is perilous if out of cowardice we deny our confession of the Son of God or remain silent about this great mercy. The world needs the Gospel of Christ today just as much as Judah needed a word of hope in the difficult times into which Isaiah was sent. If Isaiah, who did not fully know the pledge of future glory we now enjoy, did not fear to announce the tidings of God to a people lost in darkness, we who have shared in the cup of salvation must always be ready to give a reason for the hope we have inside.